Our philosophy is to offer the best price we can to all of our customers. For this reason, instead of offering free shipping and recoup that cost in higher prices, we offer everyone the same low prices, plus deeply discounted shipping rates to all customers equally. In addition, because we do a significant amount of business with event planners, retailers, and large volume buyers, we try to extend additional savings in the form of quantity discounts, which are available on all products to all customers. We have chosen this method because we feel it is the most honest. All customers get a great price and pay a fair shipping cost, plus quantity discounts when buying in bulk. Shipping rates vary by the weight of your order, the destination zip code, and the shipping method selected. In addition, all shipping options have been discounted below standard rates, in case you need your order in a hurry. The prices shown are the discounted rates. All available shipping methods and their associated rates will display. You can get an international shipping quote for items in your shopping cart by proceeding to checkout and entering the shipping address and country. Do you ship to other countries and how long will it take? Yes, we do ship to other countries! You can change the destination country when you fill out your shipping information during checkout. You will have the opportunity to review the shipping cost before submitting your order for payment. Do you process APO, FPO and US Protectorate orders? We offer several shipping options to accommodate specific time and delivery needs for our customers. These are in addition to our Standard and Expedited shipping options. We have found Federal Express (FedEx) to offer lower shipping rates than United Parcel Service (UPS), therefore we ship all packages via FedEx or the US Postal Service. 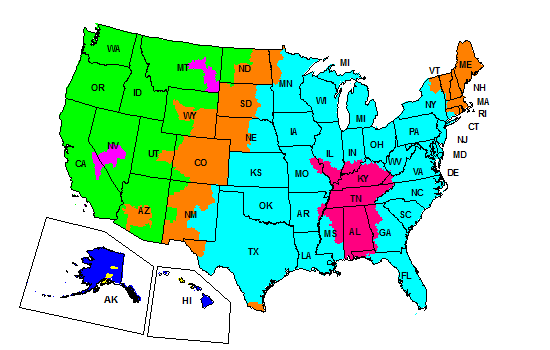 Orders shipped via STANDARD shipping are typically delivered in the continental US in 3-8 business days. Orders shipped via STANDARD PLUS shipping are typically delivered in the continental US in 2-5 business days. 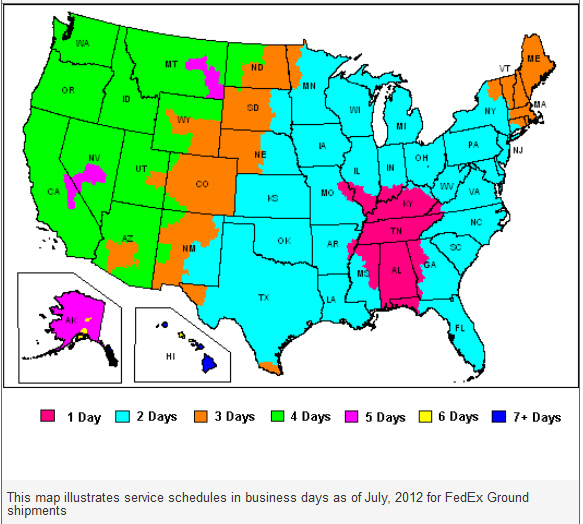 Orders shipped via USPS Priority Mail shipping are typically delivered in the continental US in 2-3 business days. Orders shipped via USPS Express Mail shipping are delivered in 1-2 business days. For business addresses: Business days are Monday-Friday. For residential addresses: Business days are Tuesday-Saturday. In other words, shipments to residential addresses that would normally be delivered on Monday, will be delivered on the preceding Saturday instead. No residential deliveries are made on Monday. These are estimates and are not guaranteed. Guaranteed delivery options are available for transit times of 1, 2, or 3 days. For more details see Shipping Info. When and where can I pick up my order at the East Nashville retail store? 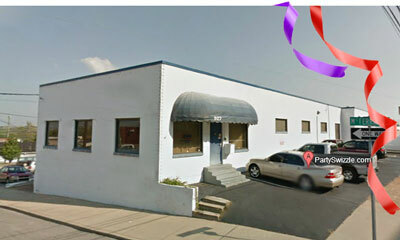 PartySwizzle.com is located at 927 Woodland St in East Nashville. Our unmarked white building is at the corner of Woodland St and McFerrin Ave. Typical hours are Monday-Friday from 9AM to 5PM. Please let us know what day you will be by to pick up your order. You may initiate a return and obtain an RMA number by logging into your Party Swizzle account or click here. Once the RMA has been sent in, you will receive an email with important instructions. Please do NOT ship the merchandise until you receive an authorization email from us. For more information see our Return Policy. Refunds are typically issued the day after returns are processed, therefore you should receive your refund within 1-7 days of receipt of your returned order. Depending upon your bank, the credit should be visible on your statement within 1-4 business days after the refund is issued. If you have any questions about your refund, please don't hesitate to contact us. I am nervous about using my credit card online, how safe is your site? Because credit card transactions are such a vital part of our business, we utilize 4 levels of safety to ensure that every transaction on PartySwizzle.com exceeds industry standards for credit card security and customer protection. Layer 1: Secure Sockets Layer (SSL) is a transport protocol that provides a secure channel between two machines operating over the Internet or an internal network. This link ensures that all data passed between the web server and browsers remain private and integral. GeoTrust® True BusinessID with EV (Extended Validation) is the premium business-class Secure Socket Layer (SSL) security product available, visually confirming the highest level of authentication available among SSL certificates. The green bar says it all. If the GeoTrust SSL certificate could talk, it would say "Look at me! You are very secure." During the checkout process you will notice that a portion of the address bar turns green and displays Party Swizzle, Inc. This is the highest level of company verification and data encryption available. PartySwizzle.com must go through an extensive evaluation and certification process each year before Geotrust will display the green bar. This is the same security provided on your banking site. You will notice their name turns green also. Layer 2: A payment gateway protects credit card details by encrypting sensitive information, such as credit card numbers, to ensure that information is passed securely between the issuing bank (customer) and receiving bank (merchant). PayPal is trusted by over 179 million active accounts around the world and has been a well-respected online payments system since 1998. PartySwizze.com uses Paypal's Payflow Pro payment gateway, which uses a digital signature system that is literally hacker proof, along with Dynamic IP protection to verify the transaction is legitimate. Layer 3: 3dcart Shopping cart software offers another level of protection by adhering to the most rigorous online security standards to keep your information safe. Since 2009, 3dcart has been compliant with a series of regulations put forth by the PCI Security Standards Council (PCI DDS), which online businesses must follow to ensure the security of online shopping. PCI DSS is intended to create an additional level of protection for consumers and reduce the risk of data breaches involving personal cardholder data. Compliance requires quarterly audits and monitoring by a 3rd party. The PCI security standards are a blanket of regulations set in place to safeguard payment account data security. The council that develops and monitors these regulations are comprised of the leading providers in the payment industry, including American Express, Visa, Mastercard, and Discover. Layer 4: The purpose of Google Trusted Stores is to verify those merchants that are reputable and maintain customer service as an ongoing priority. Google monitors every PartySwizzle.com transaction and assigns a score based upon our shipping and customer service performance. Before displaying a Google Trusted Stores badge on a merchant's website, Google monitors shipping and customer service records over a period of time. You will find a Google Trusted Stores badge in the bottom right corner for stores that maintain a high score, which you will find at PartySwizzle.com. Extra Protection: In addition, Party Swizzle.com never has access to your credit card information; it is encrypted and passed directly from the server to the processor. Your credit card information is inaccessible to anyone before, during or after your purchase, unlike in-person transactions. You may pay via Paypal or American Express, Discover, MasterCard, or Visa credit card. In addition, you can pay with an electronic check via your Paypal account. We do not accept paper checks or money orders, but you can pay with an electronic check via your Paypal account. If you do not have a Paypal account, you can set one up at no charge at Paypal.com. We do not charge sales tax, except on orders shipped to addresses in the state of Tennessee. PartySwizzle.com is located in Tennessee and is required by law to collect sales tax on orders shipped within the state. Can I make changes or cancel an order? Yes, you can make changes or cancel your order, but please note that we try to get all orders out the same day, regardless of the time they are placed. Orders are shipped Monday thru Friday between 3 and 6 PM. If you have a change or cancellation, please contact us immediately at 615-979-0678 during business hours, or you may email us here after business hours. Yes, please call us at 615-979-0678. Do you ship orders if any items are unavailable? Although the website will not allow you to order items that are not in stock, it is possible that we might discover an inaccurate inventory count or a damaged item when filling your order. In the event an item is damaged or the inventory count is inaccurate, we will contact you via email with your options before shipping your order. We will not ship incomplete orders unless a phone number or email address is not provided on the order. In addition to the paper invoice enclosed with your order, you may print the Order Confirmation emailed immediately after your order was placed. If you did not create an account you may email us here or call us at 615-979-0678. Each product page will note if the item is "In Stock" or "SOLD OUT" directly below the price. In addition, the actual number in stock will display after "Availability:" under the stock status message. If there are multiple options, such as, color, size, style etc., choosing a particular option will change the actual number in stock after "Availability:" to the inventory count for that specific option. In other words, choose "Blue" to see the total blue in stock, "Red" for the count of red ones, etc. How do I know if you will be restocking an item? Products that will not be restocked will display ** DISCONTINUED ** after the product name. NOTE: If a product has just recently SOLD OUT or we are unaware that the manufacturer has discontinued an item, the ** DISCONTINUED ** may not yet be displayed. WAITING LIST: You have the option to add your name to a waiting list for items that are SOLD OUT. You will be notified by email when the item is back in stock. Please note that the waiting list will only notify you when the item is in stock and does not reserve items for your purchase. All products protected under intellectual property laws are officially licensed. Can I pre-order items that are out of stock? Generally, we do not accept payment for items that are not in stock. However, if you have a large order or time constraint, we sometimes arrange pre-ordering of products expressly for our customers. For these special orders, we obtain payment at the time the order is placed. To keep you informed about our latest offers, we may notify you of current promotions, specials and new additions to the Party Swizzle site, if you opt-in to receive this information. You must choose to receive additional information from us, we do not automatically select this option for you. You may unsubscribe from our newsletters by following the unsubscribe instructions in any email you receive from us. When entering any of our contests or prize drawings, you provide your name, email address and mailing address. If you win, we will send the prize to the address entered and notify you by email. When you enter a contest or drawing you are also included in our newsletter list to receive notice of promotions, specials and new additions to the Party Swizzle site. You may unsubscribe from this news list by following the unsubscribe instructions in any email received. We use third-party service providers to serve ads on our behalf across the Internet. They may collect anonymous information about your visits to our website and your interaction with our products and services. They may also use information about your visits to this and other websites to target advertisements for goods and services. This anonymous information is collected through the use of a pixel tag, an industry standard technology used by most major websites. No personally identifiable information about the user is collected or used in this process. You can also read more about online marketing practices and the technologies that support them by visiting the Network Advertising Initiative's website and opt-out of this data collection, if you wish. Primarily, we use your email address to send order confirmation and shipping information. We will also use your email address if we have a question or problem with your order. If you opt-in to receive our newsletter, we will use your email address to send information specifically from PartySwizzle.com. You must choose to receive additional information from us, we do not automatically select this option for you. PartySwizzle.com will not share your email address with any third party. We feel strongly about preserving the customer relationships we work so hard to build. We place a high value on your trust in PartySwizzle.com and our products. For this reason, we do not even allow advertising on our site and would certainly never sell or provide our customers' email addresses to another party. Because we buy most products in bulk and have special arrangements with some of our suppliers, many PartySwizzle.com products are listed at wholesale or deeply discounted prices. In addition, because we do a significant amount of business with event planners, retailers, and large volume buyers, we try to extend additional savings in the form of quantity discounts available to all of our customers. NOTE: If you are interested in buying a product that does not list a quantity discount, please contact us to determine if one is available. Our philosophy is to offer the best price we can to all of our customers. For this reason, instead of offering special discounts to a select few and recoup that cost in higher prices to other customers, we offer everyone the same low prices. Instead, we frequently put items on sale to extend "coupon codes" for everyone; we just don't make you enter a code. In addition, because we do a significant amount of business with event planners, retailers, and large volume buyers, we try to extend additional savings in the form of quantity discounts, which are available to all of our customers all of the time. We have chosen this method because we feel it is the most honest. Note: Although we have never offered coupon codes at PartySwizzle.com, there are websites that make this claim to attract more visitors to their site. Are there other ways I can connect with PartySwizzle.com?